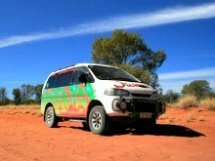 Used camper vans are your best option if you want to join the world of camper van conversions and have a limited budget. There are many used vans for sale out there, all you have to do is find the one that best suits your needs. 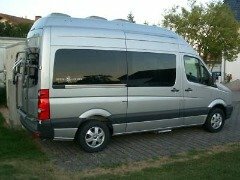 New camper van conversions are expensive and financing is sometimes the only way to buy a recreational vehicle of your choice. But if you ask me, paying interest rates for any vehicle that will be parked on your driveway most of the time is simply pure nonsense. This is the part where It would usually be a good time to draw the line and try to understand the difference between what you want and what you really need. Because when it comes to toys, men act just as irresponsible as little boys do. Well just admit it, most of us do that including myself. A used camper will have everything you need for your adventures, it just won't look so flashy. Many travelers around the globe take great pride and joy of their old campers and enjoy life the easy way or even travel around the world for extended periods of time. Remember that if you want to travel in the third world countries an older diesel powered vehicle will be much easier to repair, then modern day state of the art computerized machinery. Simple tools and a lot of improvising will get you back on the road most of the time. One of the most versatile vehicles on the road is of course the pop-top-camper van. A revolutionary concept pioneered by the German Westfalia back in the 1960's and widely copied by other manufacturers won the hearts of many throughout the years. The Westfalia concept is based on medium sized vans and with an addition of the pop top roof, these vehicles perfectly meet both worlds. A drivable and spacious daily driver and a camping van all in one. Okay, you wont be able to dance inside, but it will still be an excellent adventure vehicle. Most of these vehicles are based on Volkswagen vans and if you want something a bit more spacious check out the American Sportsmobile or GTRV vans. Volkswagen campers stand out from the crowd. They've been around since the 1950's, won the hearts of a lot of people and today, without any doubt present a way of life for many of them. 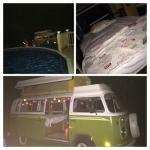 Used VW camper vans sell big time around the world. Other used camper vans come in many shapes and sizes. Usually there are three different roof heights and three different wheel bases to choose from. Searching around you might find some other variations, but the above examples have been most common for decades now. Camper van conversions have two, three or four berths, a portable toilet or maybe even a shower room, but if you need anything larger you will have to search for a larger recreational vehicle or build one yourself with some effort and careful planing from your side. Others have done it before, so what's stopping you? 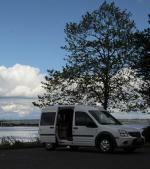 If you're looking for a used camper van for sale, you have many options to choose from. The internet alone has a large number of credible vendors that you can contact and then again you may find some of local sellers within your area. 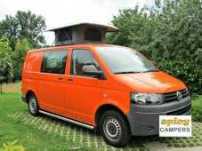 Camper vans for sale are not that hard to find, just take your time and do a lot of research. It pays off on the long run. Try rental companies for example. Some of them rotate their vehicles often, so do pay attention to them at the end of the season. At the end, it all comes down at what your looking for. You may get lucky and find a camper of your choice somewhere nearby. But most of the time you'll have to check a little bit further do find what you need. Patience and persistence is the #1 keyword here. If you live in Europe or wish to purchase a camper here this is the place to go. Buying a used camper van means that you'll be buying a used vehicle. It will have some bumps and dents and probably some other faulty spots to deal with. Take a minute to read this advice, if you wish to buy your vehicle directly from the owner. 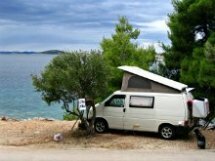 Most vendors on the internet are honest enough and provide enough pictures of their camper vans with a thorough description of their vehicle, pointing out the overall condition of their camper van. But still, do be careful and don't jump at the first bate! Once you pick out the vehicle of your choice you might want or should check out the vehicles full history and service record. It's vital to know how well the vehicle was taken care of, how many repairs it went through and how often and where was it used. A camper van has many vital parts, so when buying a used camper van remember to do a thorough interior and exterior inspection just to make sure that everything is in optimal condition. Run the engine for a while to see how it works. Make sure that it doesn't produce too much smoke and check for oil leaks. While the engine is running, inspect other components such as the chassis, wheels and tires and of course the body paint. Don,t forget any other important mechanical components as well. Perform a thorough internal inspection as well. 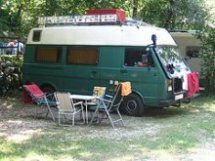 Camper vans have 12V electricity, propane installation and cookers, refrigerators, auxiliary heaters and other appliances. Run all the important appliances like the refrigerator and auxiliary heater(if the vehicle is equipped with one) for about an hour or so, just to make sure they work properly. Inspect all the internal electrical parts and check gas and water installation for any leaks. It will save you a grey hair or two later on. And if you can, bring along a mechanic you can trust. That is the single best action you can take if you're not exactly the technical type! As for the the last thing before handing out your money for your new toy, take a thorough test drive with the vehicle for a while. See and feel how the vital parts perform. Thoroughly check out the braking system and the hand brake, the steering and the drive train and most important the transmission. And while you're at it, don't forget the suspension. It takes time and patience on your side, when buying a used camper van. 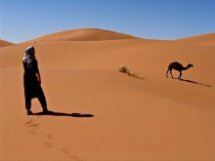 There is a lot to discover and experience here, so don't rush yourself. And the end, you'll always find something worth your money, it will just take some time to do it properly.